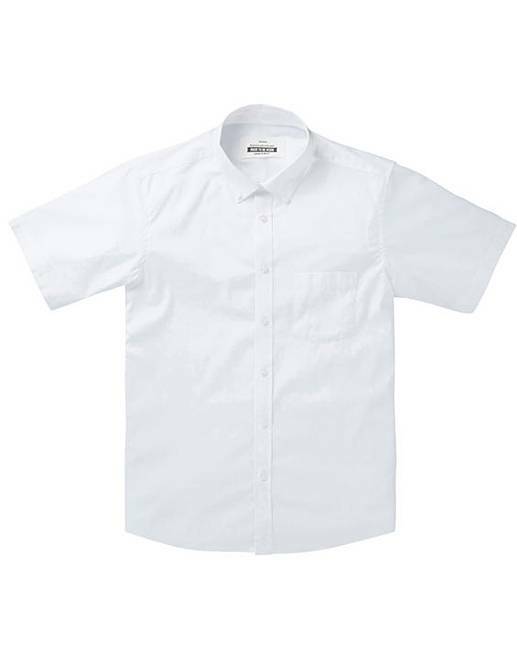 White Stretch S/S Shirt L is rated 4.9 out of 5 by 13. Short sleeve shirt in a stretch poplin fabric with button down collar. Rated 5 out of 5 by Suzy1951 from Fits the bill Good quality and good fit It fits the bill when a white shirt is needed. Rated 5 out of 5 by JIMTHESLOWWALKER from Good quality Made of good quality fabric, feels warm and well made. Garment seemed larger than usual, should have ordered one size down. Rated 5 out of 5 by Plonkyrabbit from Super comfortable I bought this shirt for my husband. He loved it so much I bought a blue one too!! Rated 5 out of 5 by gadge442 from White shirt. This is a great short sleeved white shirt for smart or casual wear, which looks good tucked in or hanging out, it's good quality, at a great price, I can't think of anything bad to say about it, so I won't. Rated 5 out of 5 by Troy from White shirt Bought for beach holiday wedding perfect fit. Will be cool on the day.